Finding a good stylist is like finding a good Dermatologist. Celebrity Hair Stylist Dustin David is owner of Dustin David Salon located in Los Gatos, CA. Dustin David grew up playing with hair and knew from a young age that he wanted to be a stylist. Dustin has trained with top stylists in the U.S.and Europe. Many of his clients are celebrities and models. Dustin also works with post-plastic surgery patients, both male and female. 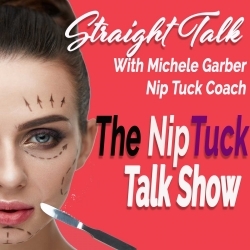 He understands how to cut and color post-op patients, whether it is hiding a new scar or given them a whole a new look to go along with their new face. Dustin shares tips on everything from how to style your hair post-plastic surgery, to how to interview a new stylist and his favorite haircare products. People often wonder how often you should wash your hair. Dustin's advises to shampoo your scalp and put conditioner on your hair rather than washing your "hair". What hot in hair styles: The 90's are back- undercutting hair is a hot trend. The shapes are sexier less boxy. "Hair is basically a material there are only certain things you can do with it But it's how you choose to showcase it."